Your gut is an ecosystem. The microbiome of bacteria and yeast it contains plays a huge role in many factors of your health, including your immune system, digestive health, and even mental health. How Do Symbiotic Probiotic Bacteria Make Us Healthy? Over the last decade, everyone is discovering the supposed health benefits of certain bacteria that we can eat in fermented foods like yogurt. Everybody has seen a yogurt or probiotic commercial claiming that these bacteria can assist our digestion and well-being. But how do these organisms actually affect our health? Latest probiotic research proves that live and active cultures of symbiotic bacteria can help prevent and treat a variety of illnesses. First of all, this illness can be with-a-doubt treated with probiotics. Hospitals around the world give their patients probiotic supplements following antibiotic use to treat the common symptom of diarrhea that is associated with taking certain broad-spectrum antibiotics. This method has been proven to be highly effective in treating this symptom. Therefore, whenever somebody claims that probiotics are a placebo that does nothing, they are clearly being ignorant to the undisputed medical uses for probiotics that are being used commonly today. Whenever somebody is treated for Clostridium difficile, the patient is always given a probiotic to go along with their treatment. Previous to this implementation of probiotics, diarrhea after being treated with antibiotics was the leading cause of death in hospitals. 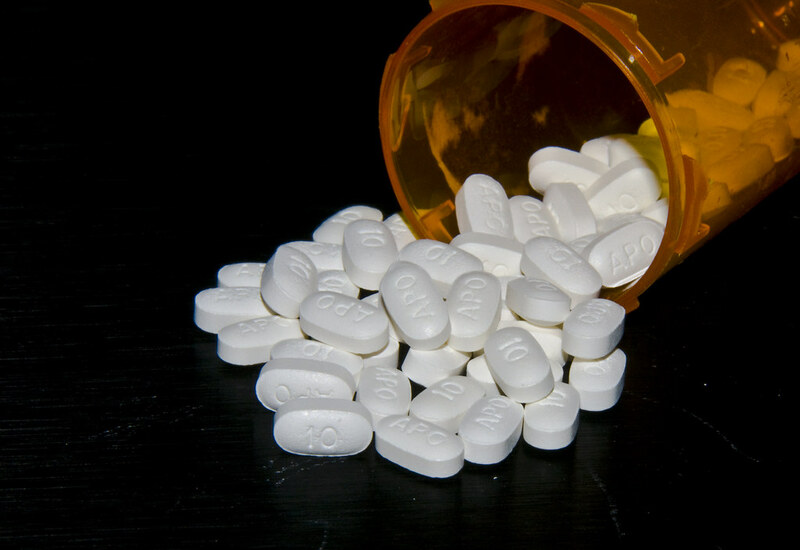 Now, since we give our patients antibiotics, this issue is now practically extinct. This is enough proof that probiotics do actually do something—and they make us healthier! After treatment with antibiotics or an environmental factor causing the destruction of bacteria in the urinary tract, the absence of lactobacilli in women can allow infectious bacteria like E. coli to spread through the tract, the bladder, and eventually the bloodstream. Urinary tract infections are the second most common infection that you can obtain. Studies have shown that probiotics were effective in treating women who experienced these chronic infections multiple times a year. Research can safely claim that probiotics reduces the amount of times you will contract the infection in the future. Of course, if you have a serious infection of the urinary tract, the best way to get rid of it would be with targeted antibiotic treatment. Therefore, it would be best to take probiotics to prevent a recurring infection, rather than treat an existing one. There are two major families of symbiotic gut bacteria: bacteroidetes and firmucutes. Body fat can be directly correlated to the balance between these two families of probiotics. In both animal and human studies, it has been determined that thinner people have a much different microbiome in their digestive system than overweight or obese people. This research has determined that overweight people had more firmicutes than bacteroidetes. For thinner people, this was the opposite case. A particular study has shown that when gut bacteria from obese mice are transplanted into that of a thinner mouse, the thinner mouse gains weight quickly. This research strongly claims that a balanced gut bacterium is very important for managing and losing fat. Basically, it is suggested that certain strains of probiotics can reduce the amount of fat that is absorbed into your body for energy. Therefore, these bacteria can make you poop out more calories. Releasing appetite reducing hormones: A hormone called GLP-1 will increase satiety after adequate meals. This compound also promotes faster burning of calories and fat while resting. Therefore, probiotics can increase metabolism and help you feel fuller with less food. Increasing levels of ANGPTL4: This protein decreases the amount of fat that is stored in our cells. Instead, when fat is absorbed into the body, it is simply excreted if it is not used for immediate energy. Not as much fat will be stored quickly for later use. Bottom Line: Probiotics can reduce the amount of calories you absorb from your meals and also affects hormones and proteins that can reduce appetite to normal levels and prevent fat storage. These are all the fundamental components of a healthy weight-loss regimen. Many Harvard researchers have found a connection between gut bacteria and the healthy functioning of your immune system. Unfortunately, the direct mechanism of how bacteria interact with your immune system is not yet fully understood. However, many specific strains of probiotics have been studied and proven to show connections to improved immunity. This is one of the most common strains of bacteria that you will find in any probiotic supplement or fermented product. It has been widely proven around the world to improve your immune health, as well as your brain health. One incidence of a study reported that once a newborn with dermatitis was given a supplement with Lactobacillus rhamnosus GG, the skin healed dramatically within the hour. It also shows much promise for the treatment of allergies. Make sure that your probiotic incorporates this healing strain of bacteria. This is the most widely researched strains of bacteria because supplementation with it may reduce the immune responses to allergens and vaccines. This probiotic is found in yogurt and can be given credit for curing lactose intolerance in some people. 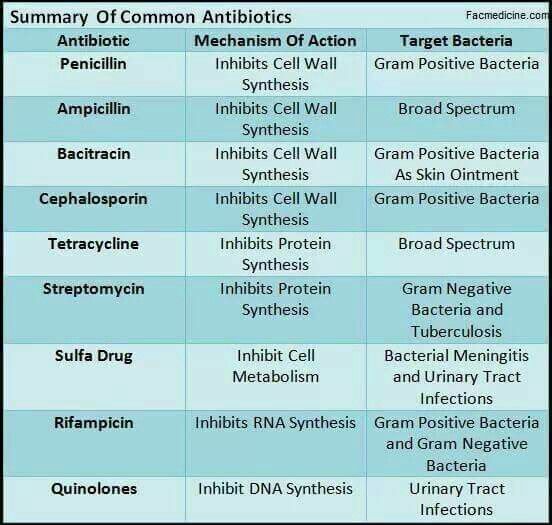 Acidophilus is also the most commonly used bacteria for supplementation after antibiotics in hospitals. Make sure you incorporate this probiotic because of its huge possibility for many health benefits to your allergies, intolerances and digestive health in general. If you think about it, you share your body for nine months with your baby. The newborn is only going to have what you can provide it. If you are missing a few critical strains of bacteria during your pregnancy, your child may develop allergies more easily. It might be especially important for women to keep their microbiome healthy because sometimes overuse of antibiotics can completely irradicate a specific strain of bacteria that is vital for a healthy functioning bodily process. This is why it is very dangerous to take antibiotics during pregnancy. The chemical will be transfused into your child’s blood and experience the same effects. Food allergies affected one in 13 children at almost 15 million Americans. Statistics are showing that between 1997 and 2011, food allergies in children has increased in incidence and severity by a whopping 50%. This is very alarming. So what is causing this? Well, a pattern has shown between the rise in allergies in children and the overuse of antibiotics and antimicrobial use. One particular study has shown that exposure to antibiotics in newborns and infancy will increase risk of developing eczema by 40%. Some research also tries to link a correlation between genetically engineered food and the use of glyphosate as a pesticide. This dangerous chemical has been proven to destroy gut bacteria, thus promoting allergies. Some specific strains of bacteria like Clostridia have specifically been proven to prevent and cure food intolerances. If you overuse antibiotics and kill all of this probiotic, it might not ever be able to regrow. Bottom Line: Glyphosate and other herbicides/insecticides can cause food allergies. Antibiotics started to be added in animal feed in the 1940’s. 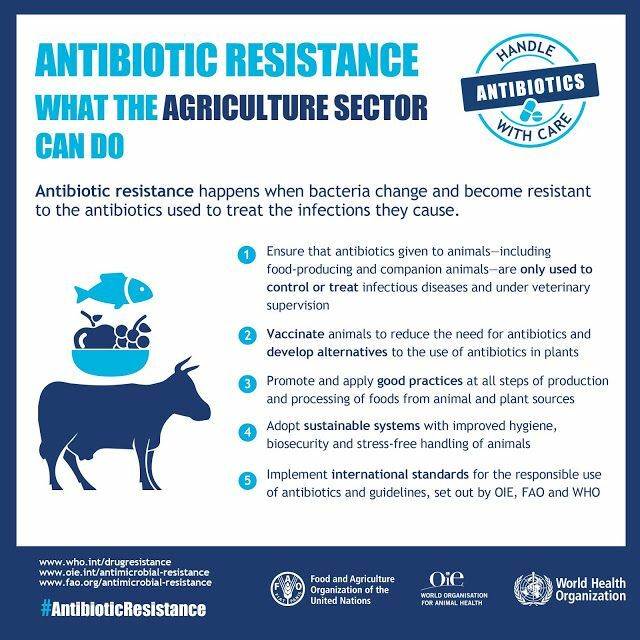 Since then, there has been a reduction in illness and death related to infectious disease that farm animals carry and then transmit to humans that eat them. However, we are also consuming these antibiotics. That can have a domino effect on human health in general and cause a health disaster in the coming decades. 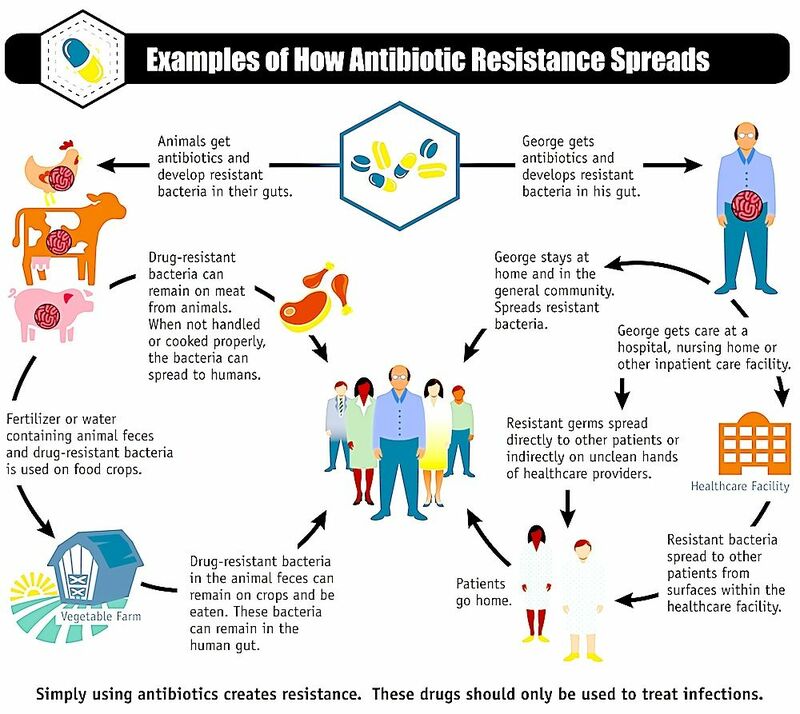 This is because diseases are evolving and becoming resistant to antibiotics. When we consume things that are designed to kill bacteria, not all of them die. In fact, some of them survive due to their genetics being superior. Evolution will favor their genes and these special bacteria with mutations designed to survive the antibiotics will reproduce another generation that shares this gene that survive the destruction. Thus, we have antibiotic resistant bacteria inside of us. Not only does this affect us and our children, but anybody we become intimate with can have these bacteria spread to them physically as well. This is why overuse of antibiotics is so dangerous. Well, it’s not exactly what you want to hear, but it can be very simple: Stop eating conventional meat raised by factory farms that pump immense quantities of antibiotics into their bodies, which you then consume. This include chicken, beef, pork, turkey, etc. raised by conventional farms. If you insist on consuming meat, despite its other health drawbacks, you should choose organic, free range meats for optimal health benefit. These meats will have little if any antibiotics present when you consume them. It has also been proven that these methods make the food more nutritious because the animals are fed a natural diet while being allowed to eat what they choose in open fields. This is one of the main reasons why veganism and vegetarianism can revolutionize your health. Although many health experts are stuck on the fact that meat is high in sodium, they neglect the true effect of conventional meat on our long-term health. If you are a pregnant woman, eating vegetarian would be a great decision because you are protecting your baby from unnecessary antibiotics. Natural production of B vitamins, butyrate and vitamin K in the gut. 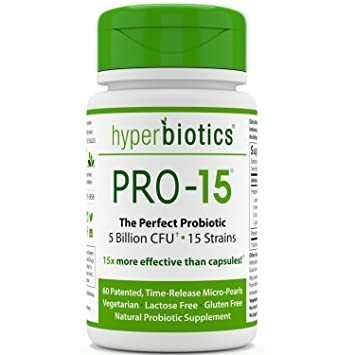 A great probiotic that many experts recommend is Hyperbiotics PRO-15 time released pearls. This world-famous and award winning supplement has received great reviews from thousands of people. It contains all the necessary strains that you need to be healthy and has been proven to survive stomach acid so that all of the bacteria are able to reach your intestines alive. Click for the cheapest price I could find! It would be a great decision to invest in your family’s health with a probiotic. After a couple days of taking it, you will all physically feel the true benefits of having a healthy internal ecosystem. I am always here for you, so if you have a question or something to add about antibiotics causing allergies, please leave me a comment below!